Critics of the Trump administration’s immigration policies discovered a new cause for outrage recently. 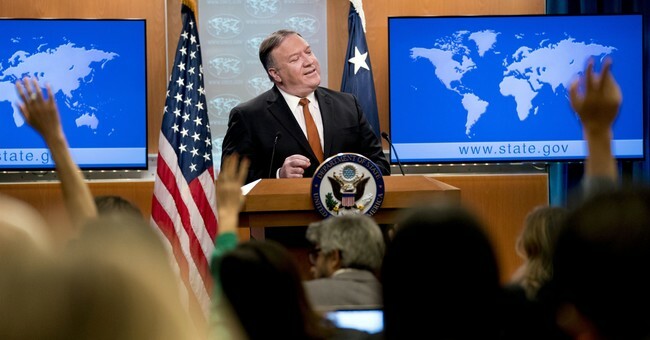 Secretary of State Mike Pompeo announced that the United States would cap the number of refugees at 30,000 for the upcoming fiscal year, down from its previous level of 45,000. Administration opponents pounced, accusing Trump of rank heartlessness. This has become a predictable, insufferable strategy among the Trump resistance: take a complex issue, reduce it to a binary choice of compassion vs. cruelty, and count on the public to interpret it through emotionalism rather than critical thinking. Sad to say, it’s been largely successful. There are a number of reasons why reducing the refugee limit is in the best interests of America, its citizens and legal residents. Before taking in more refugees, our country needs to first deal with the backlog of more than 700,000 total asylum cases currently awaiting adjudication. The number of pending cases before U.S. Citizenship and Immigration Services (USCIS) has exploded by more than 500 percent in the last five years. The spike is due to the increased number of affirmative asylum filings of unaccompanied alien children (UACs) and the tripling in the number of new asylum filings during that same five-year period. Overloading our capacity further undermines the integrity of the asylum program and causes wait times that stretch for years. Why have asylum claims grown exponentially over the last few years? Part of the reason is that fraud and abuse of the system have become rampant. Prior to 2013, approximately one out of every 100 arriving aliens claimed credible fear—the criteria that triggers asylum protections—and sought asylum in the United States. Today, one out of every 10 claim credible fear. Has the world suddenly become ten times more dangerous in the last five years? More likely is that the word got out around the world that the wide-open back door into the United States is to claim a credible fear of persecution in your homeland. When our asylum system is overloaded and fraud is prevalent, it also results in a heightened security risk. As the number of people who need to be processed through the system swells, the likelihood is that the quality of the screening process will suffer. Given that many refugees come from hotbeds of terrorism with poor recordkeeping to vet applicants, the threat to the American people is real. One need look no further than the case of Omar Ameen. The Iraqi national came to the United States in 2014 claiming refugee status and settled in Sacramento. He was arrested in August after it was discovered he was wanted in Iraq on charges that he murdered an Iraqi police officer and was a member of al Qaeda in Iraq and later ISIS. How many more Omar Ameens might exist among the population of 700,000 would-be refugees awaiting processing? Even under optimal circumstances, security risks like Ameen can slip through unnoticed. Adding to the problem is that politicians and activists have intentionally blurred the definitions of “migrants” and “refugees.” United States refugee law “does not cover those fleeing from natural or economic disaster, civil strife, or war.” The law in this area also “do[es] not protect people from general conditions of strife, such as crime and other societal afflictions.” The Department of Homeland Security defines a migrant simply as a person who leaves his or her home country to seek residence in another country. And yet despite these distinctions, many lawmakers seem to have embraced the idea that those fleeing war zones, drug cartels or even domestic violence fit the definition of refugees. But enduring hardships at home and seeking a better life elsewhere are not qualifications for refugee status. Even the left-of-center Migration Policy Institute concedes that "being forced to join a gang or experiencing violence do not generally qualify as a basis for refugee status or fall readily into one of the refugee definition categories." While Pompeo’s announcement launched charges of cold-heartedness, the reality is that the administration is increasing the options for addressing the plight of genuine refugees while making American dollars spent on the effort go further. The conventional wisdom on refugees has been that they uniformly want to flee their homelands and settle permanently in the United States. Through statistics and personal accounts we know this is not true. The White House is pursuing what it calls “outcomes-based assistance,” Beltway-speak for including refugee solutions that are not limited to indefinite resettlement in the U.S. Among those solutions is providing for refugees in locations closer to their homes. For the same cost of relocating one refugee in the U.S., many can be safeguarded at sites closer to their homes. Another obvious but overlooked option is to spend more resources on conflict resolution in troubled areas, thereby preventing refugees from being created in the first place. The United States still takes in more refugees than any other country in the world, and will continue to be a haven for those fleeing persecution. The difference is that, in keeping with its America First prerogatives, the Trump administration is taking the interests of the American people and its finite resources into consideration, and that’s a good thing.